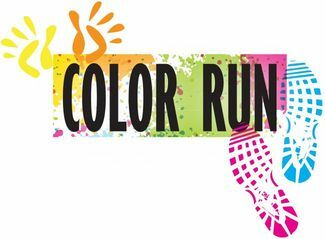 Otsego PTO is holding it's first annual color run/fun run. Come join us. You can run or walk the course. Racers will be broken up into waves. Along the way you will be color-bombed! Don't worry if you seem a little colorless. There will be a color toss at the finish line when all racers have returned. This will be a fun, non-competitive community event. Come join us and bring a friend. Registration opens at 8:00 am day of race, race starts at 9:00. Register before April 29th to receive a race t-shirt. Registration after April 29th is $25.00/adult, $20.00/kids. Early packet pick up will be Friday May10th from 3:30-4:30 at elementary.